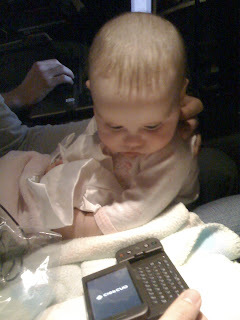 On the airplane, Matilda played with Matt's new phone. When I was little, my mom gave me Mad Libs to play with on the plane. Times have changed.